As we can see from this horrific video, Nicolas Maduro's Socialist Venezuela is a society that has been almost completely destroyed by government overreach. Nonetheless, in the US, openly Socialist candidate Bernie Sanders came dangerously close to securing the Democratic Party nomination for the American throne. 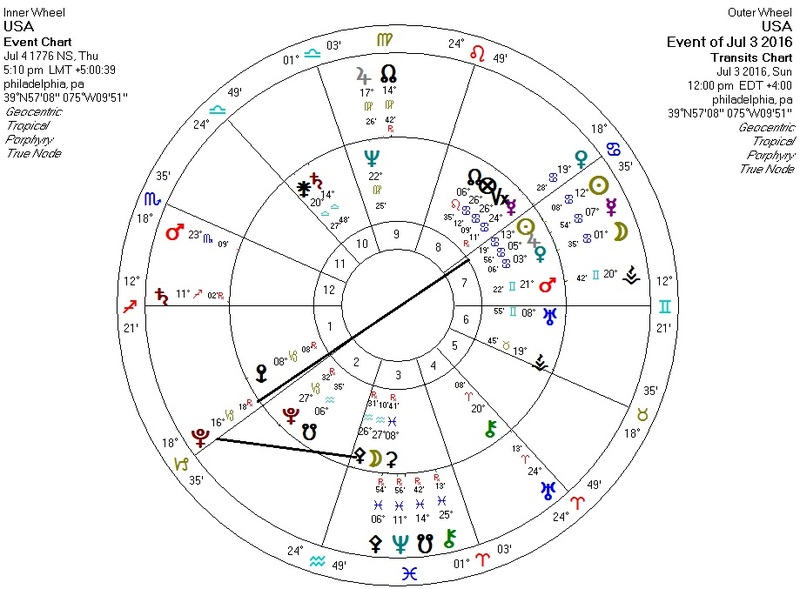 Here are some disquieting similarities in the current astrology between us and them. 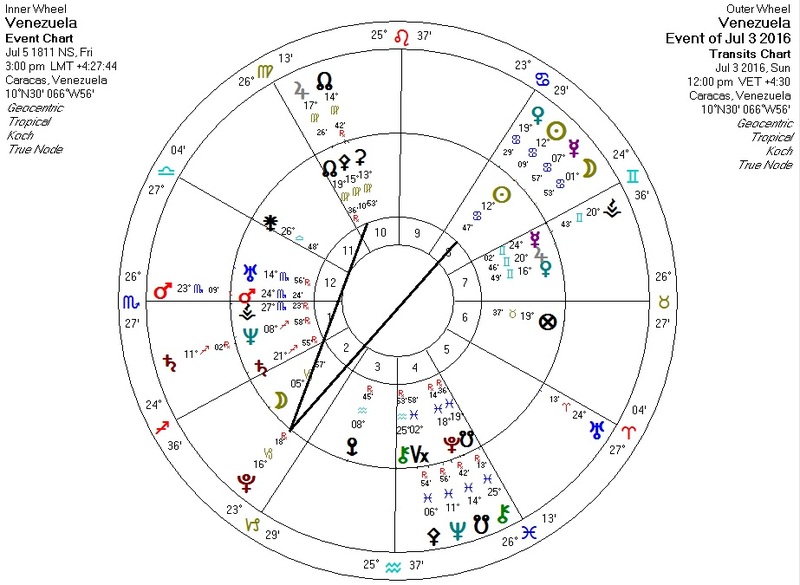 Against the US horoscope, transiting Pluto is on the cusp of the Second House of wealth, moving away from a very recent opposition with the US Sun, and currently novile US's Pallas. This is, of course, not a guarantee that the US will become a third-world Leftist hellhole. But perhaps it should give us pause.